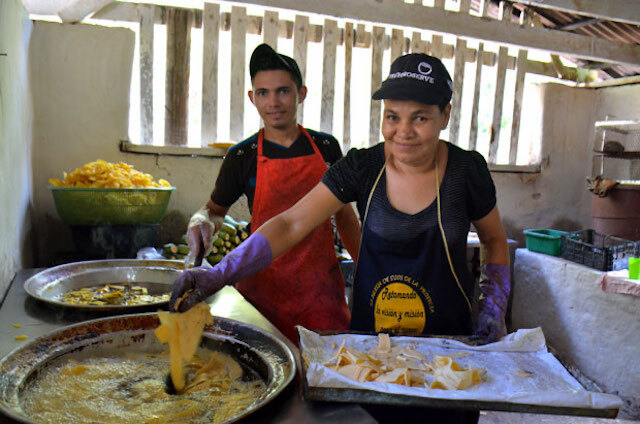 A plantain business in Honduras demonstrates how women's inclusion can translate into higher sales, expanded markets and a more diverse talent pool. Cynthia Sánchez is a TechnoServe Business Advisor for Impulsa Tu Empresa in Honduras. Daniella De Franco is TechnoServe's Regional Gender Advisor for Latin American and the Caribbean. A growing number of multinational companies are maximizing economic growth through women’s inclusion as customers, employees and suppliers. For example, Walmart plants to double its sourcing from women suppliers and Nestlé aims to increase its percentage of women managers and senior leaders. The business community recognizes that women’s full integration into the economy translates into a “gender dividend”: higher sales, a more diverse talent pool and expanded markets. Honduran entrepreneur Daniel Vásquez is demonstrating that small and growing businesses can also tap into this potential. Daniel’s business Dartma currently sells plantain chips and other snacks through pulperias, the mom-and-pop convenience stores that dot Honduran towns and sell everything from soda to batteries. Over the past year, business revenues grew by 20 percent thanks to Daniel’s hard work and support from Impulsa Tu Empresa, TechnoServe’s Central America business accelerator. Daniel obtained food safety certification and bar codes for his products, readying the business to reach supermarkets. TechnoServe business advisors helped Daniel improve Dartma’s accounting system and make financial data-based decisions. 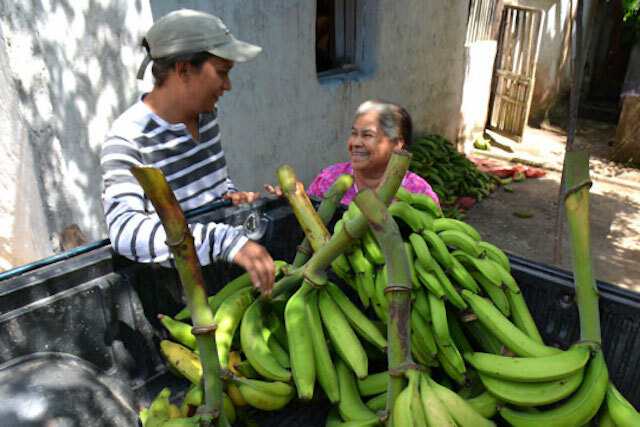 Daniel Vásquez purchases plantains from a female smallholder farmer in the Valle de Jamastrán community. But future business growth depends on securing a sustainable plantain supply. In 2015, Daniel moved his processing plant from Tegucigalpa to Valle de Jamastrán to be closer to smallholder farmers. With TechnoServe’s encouragement, Daniel sought out both male and female plantain growers from whom to purchase produce. “The main benefit of buying raw materials from women is that they deliver a higher quality product, they always deliver the right order and on time. The other benefit is that the money reaches their hands and they invest it in their children,” says Daniel. He is committed to giving back to the smallholder farmers in Dartma’s supply chain through workshops on how to increase their productivity, so that they grow with the business. Dartma is one of nearly 300 enterprises receiving advice from TechnoServe on how to implement good gender practices such as offering parental leave for employees and gender-aware marketing and communications. Given the pivotal role of small growing business owners like Daniel in the Central American economy – as job creators, innovators, and community members – they have the power to create inclusive economic growth that benefits both men and women. Impulsa Tu Empresa is supported by the Argidius Foundation, the Inter-American Development Bank (IDB), the PIMCO Foundation, the Citi Foundation, the Walmart Foundation and others.